SUPERBLY LOCATED at the foot of Table Mountain, Belmond Mount Nelson Hotel is an oasis within walking distance from Cape Town’s beating heart. From the moment you arrive you are welcomed into a world of supreme elegance and timeless luxury. It’s an atmosphere akin to the lively city centre. Our awe inspiring stone-columned entrance and palm-lined driveway date back to 1925. They were installed to welcome the Prince of Wales. Equally magnificent are the verdant grounds where John Lennon enjoyed meditating. They abound with wild flowers and conjure the magic of South Africa. You’ll be enraptured before our top-hatted doorman has ushered you inside. Here, the spaciousness and service hark back to the splendour of a bygone era. Our colonial interiors have been gorgeously restored and punctuated with stylish, modern touches. There’s so much for guests to enjoy within. Unlock your creative side by taking a class with our resident artist, or unwind and indulge at the Librisa Spa. Our holistic treatments use natural ingredients to soothe body and soul. 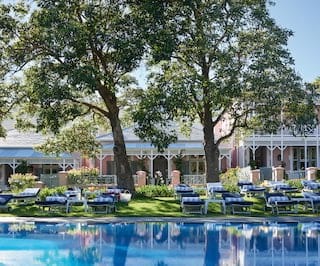 Belmond Mount Nelson Hotel offers a taste of South Africa found nowhere else. Our famed Afternoon Tea delights guests with delicate sandwiches and our signature blend of tea. 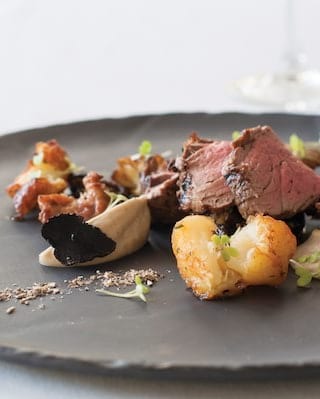 Meanwhile the Planet Restaurant has become a favourite of Cape Town’s movers and shakers, thanks to its chic setting and mouth-watering dishes. Make sure to stop for a cocktail at the restaurant’s bar—truly out-of-this-world—or book the Chef’s Table for an unrivalled interactive culinary experience. Of course, the wonders extend beyond our walls. Get your adrenalin pumping on court with our resident tennis pro or, if you’re feeling lazy, soak up the sun by one of two outdoor pools. Set among rose-scented gardens and pretty picket fences, our beautifully-restored cottages make idyllic romantic hideaways. Snuggle up in front of the fire or enjoy breakfast on your private balcony while taking in the stunning vistas. However you choose to spend your time, our staff will do their utmost to ensure you have an unforgettable stay. After all, we’ve been doing this since 1899, so you can trust us to take good care of you.